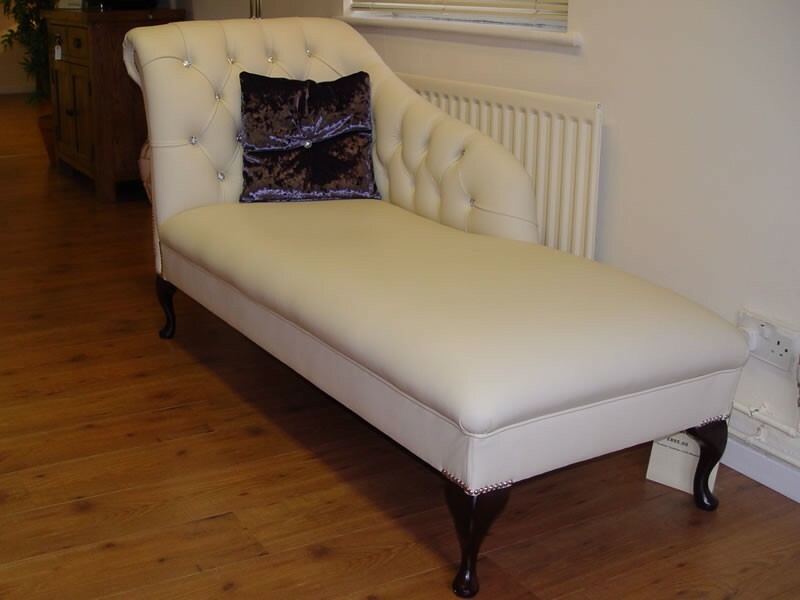 The Dickens Chesterfield chaise, is a beautiful and traditional chaise longue with polished hardwood legs stained in mahogany as standard, but also available in yew and dark oak. 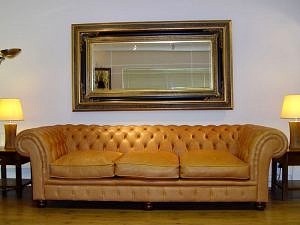 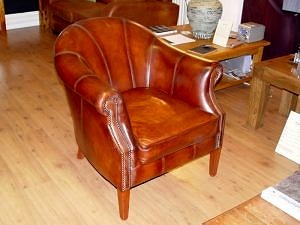 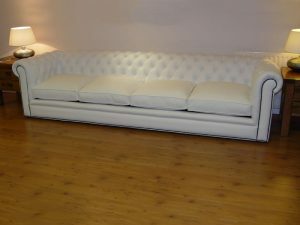 Its smooth, streamlined design makes it a fantastic occasional piece in any room. 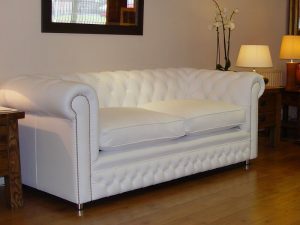 Here it is pictured in Polar White leather for a contemporary look, but as with all our pieces, it can be customised with any leather; antique green, mahogany reds and distressed browns to complement seamlessly the most traditional of homes.